Energy Psychology and EMDR - Description | W. W. Norton & Company Ltd. Eye movement desensitization and reprocessing (EMDR) and energy psychotherapy (EP) continue to grow in popularity because they can produce deep and lasting psychological healing. Using the two methods together creates a unique opportunity to increase the effectiveness and applicability of both. 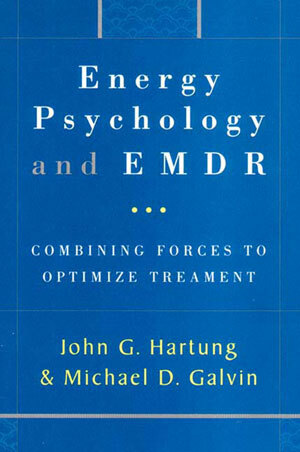 In this book, psychologists John Hartung and Micahel Galvin begin by comparing EMDR and EP. They then describe the training models they have used to teach these treatments in ten countries, to professionals and paraprofessionals alike. EMDR clinicians will learn new strategies not taught in traditional EMDR seminars. EP practitioners will find a simple and effective format for teaching meridian-based therapies. 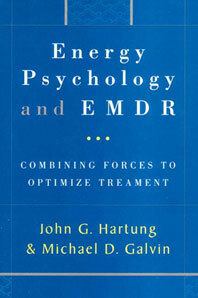 Using case studies from their clinical practices, the authors demonstrate how EMDR and EP in combination can be used with greater impact to meet various therapy challenges: transference and countertransference, severe trauma, abreactions, dissociation, dilemmas, looping and blocking, so-called client resistance, and the problem of maintaining treatment effects.